I know you’ve all seen it. 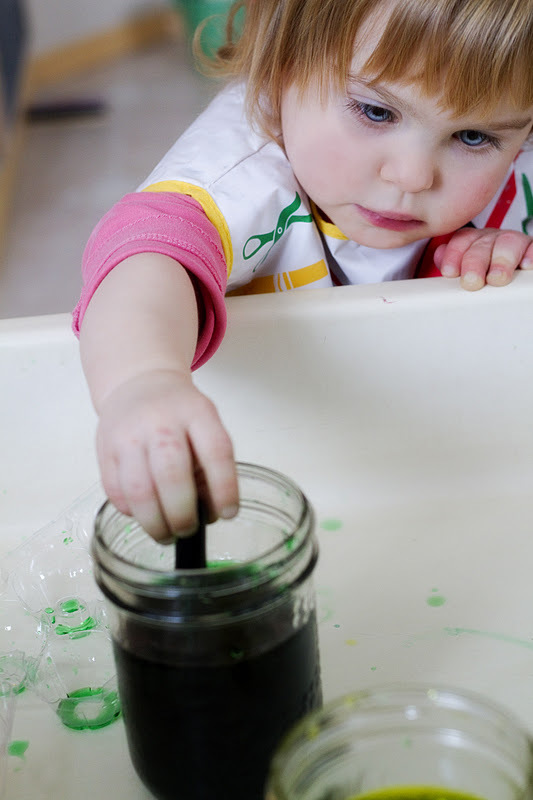 Water, food colouring, colour mixing, blah blah blah. 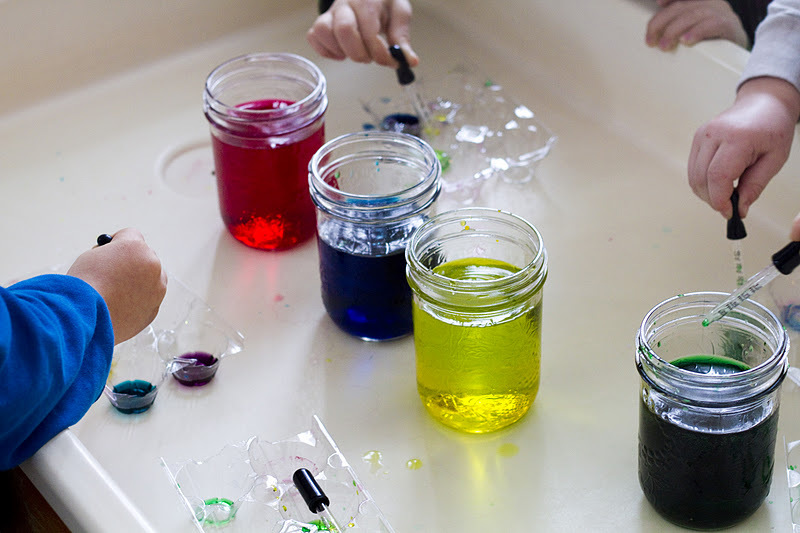 But don’t underestimate the allure AND the benefits that this simple science experiment holds for children of all ages. 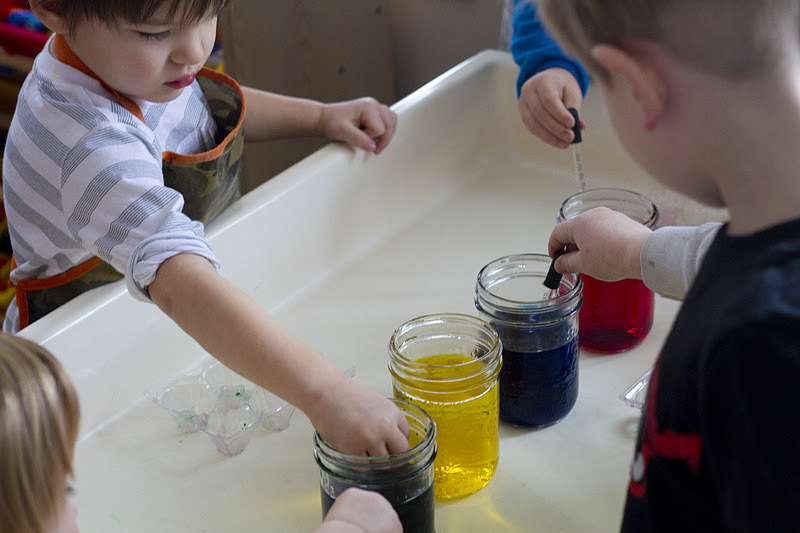 The fine motor skills, the cause and effect, the predicting, the observing…oh the may wonders of colour and water!! So what are you waiting for?? 3. 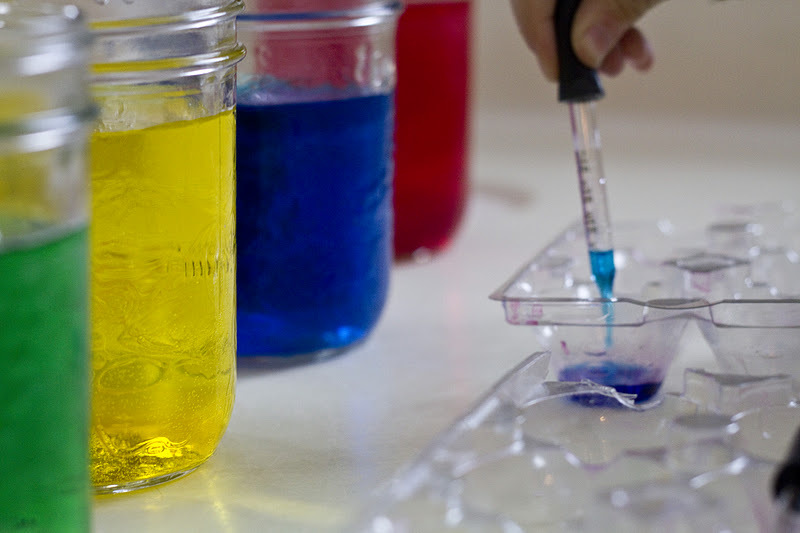 Medicine droppers…I use these instead of turkey basters because it helps them master the prewriting “pencil grip”. 4. Empty clear egg cartons. The clear ones help the children see their mixed colours better. 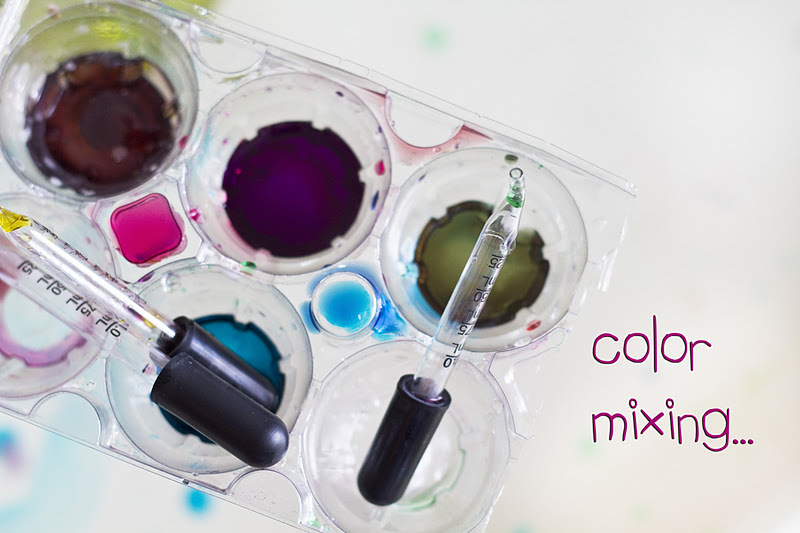 Fill your jars with coloured water…make the colours quite strong so they will mix in all kinds of pretty ways. Let the children start mixing! They get very serious about creating JUST the right colour. 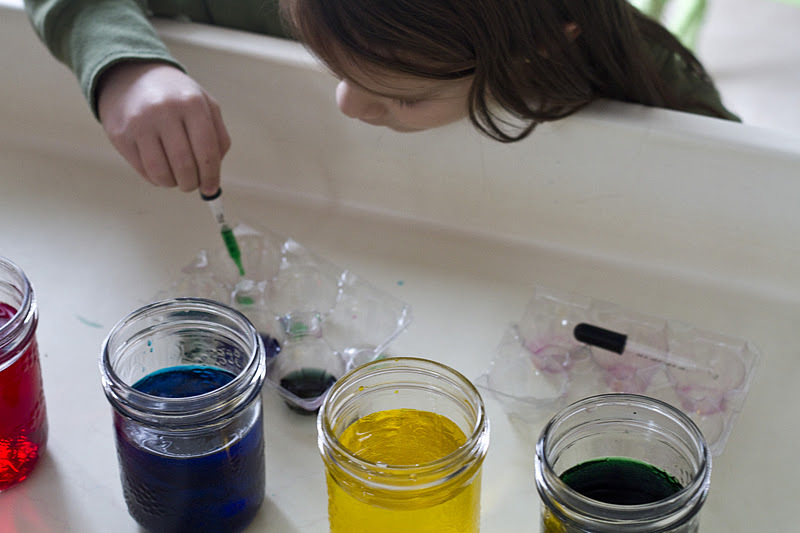 Abby wanted to make “medicine” colour, and she worked and worked at it until she was happy with her result. Even the toddlers love to get involved!! Have fun, and happy mixing!